Ask us about retail loyalty points and refer a friend. Hand and Arm massage may be added to any service for $12. 90 minutes. Starting: Oct 1st-Nov 30th. 90 minutes. Starting: Jan 2nd through February 28th. Bio Active Peel is a high-intensity, professional chemical peel designed to dramatically resurface the skin with minimal recovery time. Advancing the science of chemical peels, this professional facial treatment helps retexturize skin; smooth fine, dry lines; refine the look of pores; and restore radiance. Safe for acne skin conditions. Experience the benefit of a 30% glycolic peel procedure with none of the associated redness and irritation. A treatment for all skin types which begins with a deep cleansing, followed by a mild exfoliation, light extraction (if necessary), massage and a finishing masque. 60 minutes. Stop in for a quick refresh. Deep cleanse, exfoliation, toner and moisturizer. Utilizing professional strength exfoliants customized to your skin. Deep cleansing treatment refines pores, improves texture and clarity and leaves skin refreshed and renewed. This treatment targets current breakouts and prevents future breakout activity, providing a foundation for healthy, consistently clear skin. 75 minutes. High intensity accelerated version of the classic treatment, customized by including a deep cleansing, exfoliation and masque. This power half an hour will leave your skin revitalized. 30 minutes. This deluxe treatment is ideal for skin in need of rejuvenation, using the latest ingredient technology. This customized treatment will address specific areas of concern. It combines the latest in hydroxy acid exfoliation and intense vitamin repair. Leaves skin noticeably firmer, smoother and revived. This premium level facial includes a full hand and arm massage. 75 minutes. Vitamin C helps promote the skin’s natural collagen production; smooths the appearance of fine, dry, lines and leaves the skin looking brighter and more radiant. Potent, 10% concentration of stable vitamin C ester that is suspended in a nutrient-rich sunflower oil is applied after a deep cleansing and massaged in, followed by toner and moisturizer. This concentrate absorbs and stays active for up to 7 days after application continuing to support the skin’s collagen. 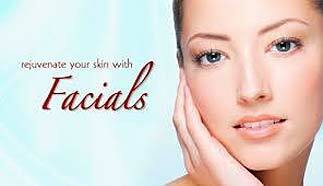 This treatment is excellent as a weekly boost between regular facial treatments. DUAL EXFOLIATION PEEL & MASSAGE BASED – COMING SOON! *PLEASE arrive 15 minutes before your scheduled appointment to fill out paper work. We except Visa , MasterCard, Discover, American Express.